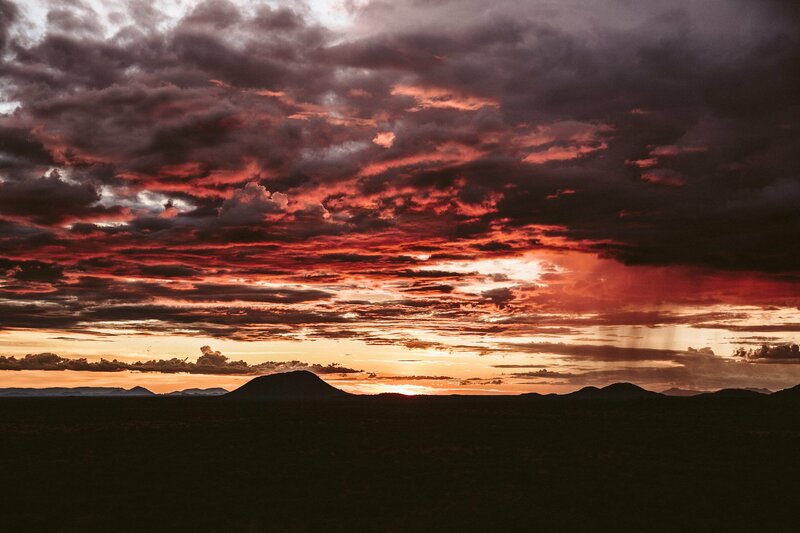 When it comes to Safaris there’s often a huge gap between dreams and reality. In any traveler’s dream you’ll come eye to eye with wildlife in a scenic place surrounded only by wilderness. In reality a Safari can end up bringing you to a lonesome animal on a paved road surrounded by 15 other vehicles. Not in Erindi. 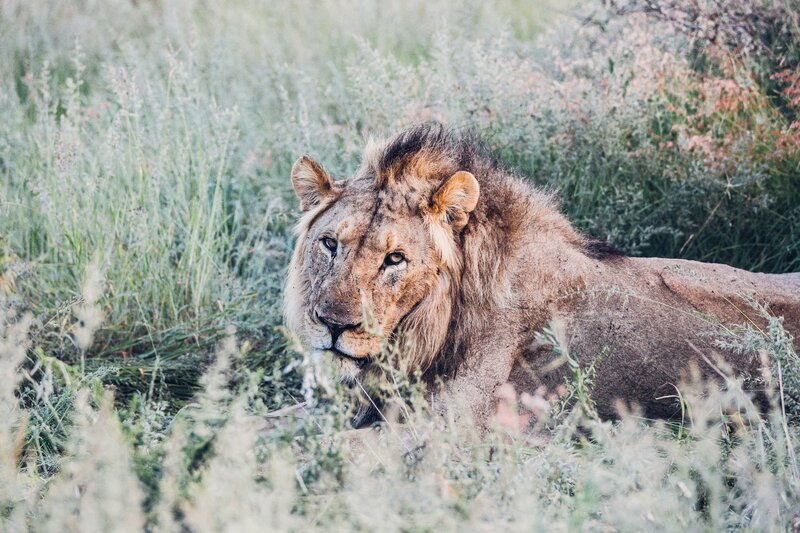 Safari dreams do become reality in Erindi! 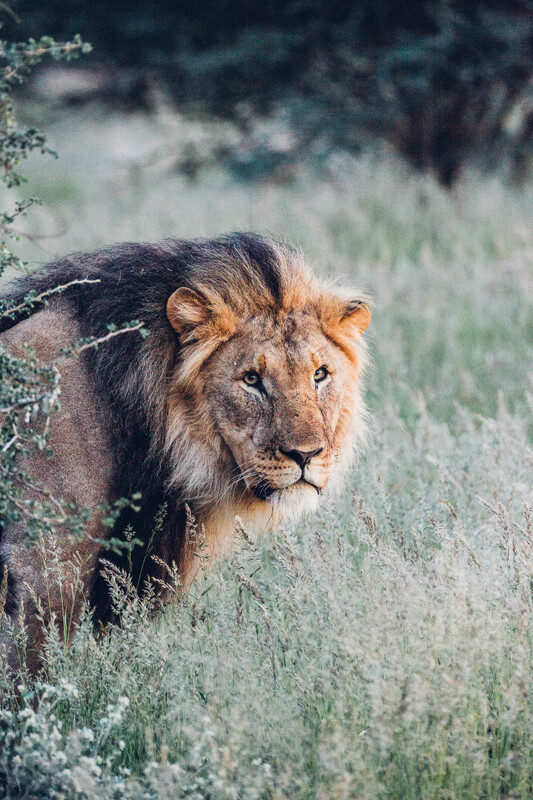 When you book a Safari trip, you might not know what to look for at first. It can get even worse than the scenario of a dozen cars circling around one animal: You can become a victim of scammers who breed “wild” animals and even let you feed, cuddle or interact with them in another unnatural way. This kind of Safari tourism is heavily criticised and often just on the frontlines of enabling poaching and illegal wildlife trade. 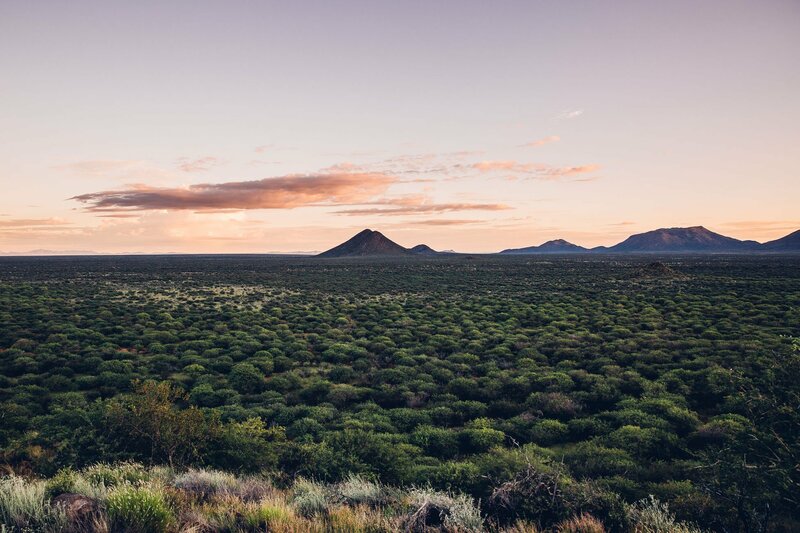 The tranquility of the Namibian landscape might be deceiving – it’s not all gold that glitters. 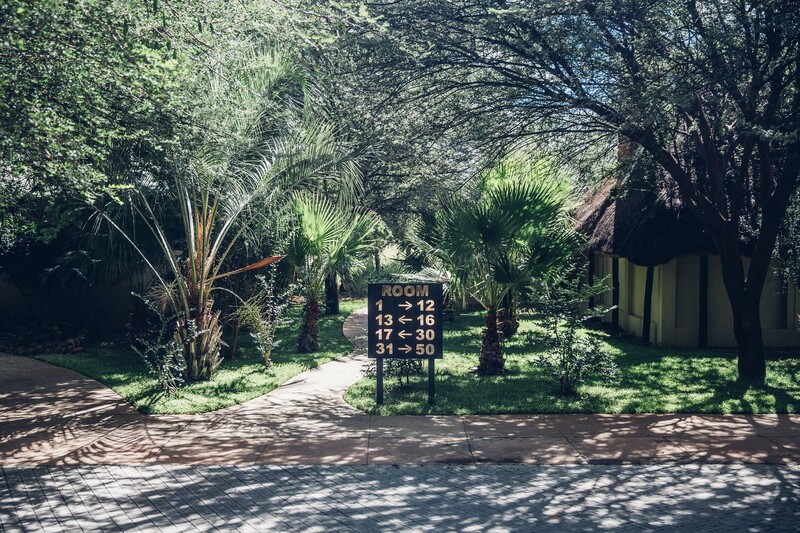 Therefore it’s important to check what kind of lodges and Safari tours you book. Make sure they comply with conservation standards, that might even extend beyond federal rules. 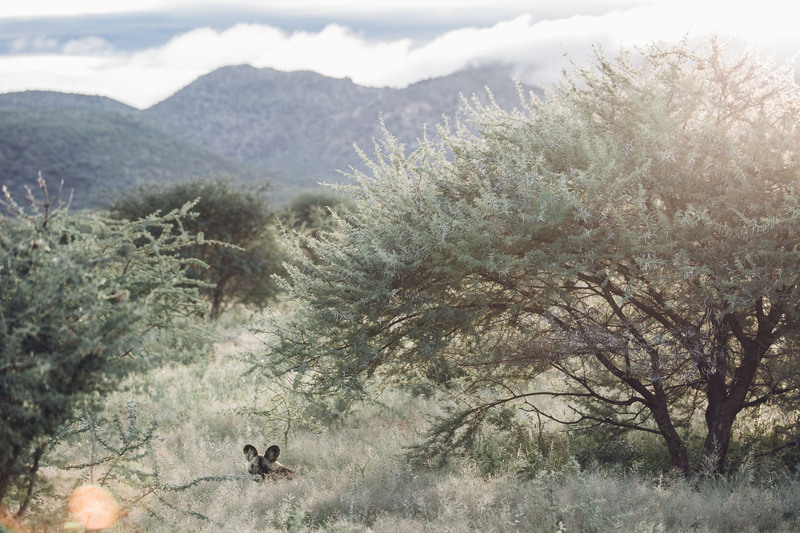 In Namibia conservation efforts have a long tradition and therefore the legal framework is already well established, but this doesn’t apply to all countries on the African continent. If you go on Safari you want the wildlife to stay as untouched as possible! 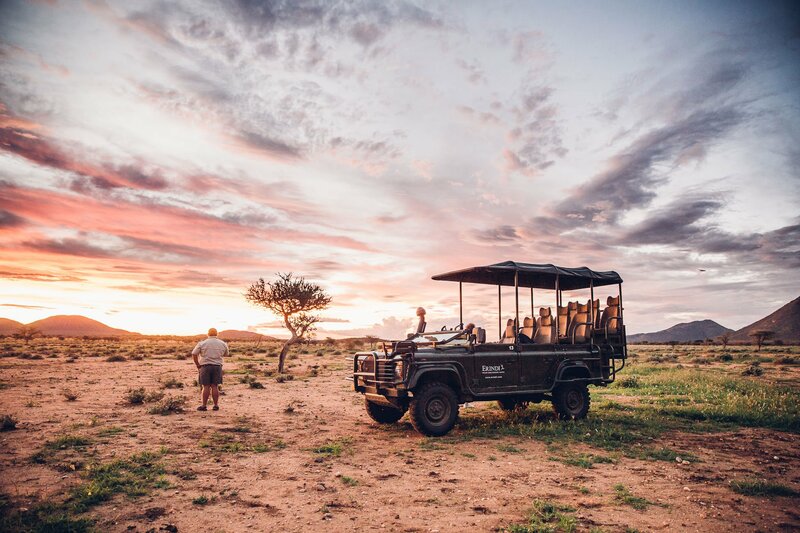 The Erindi Private Game Reserve has a long-standing tradition in eco-tourism: It’s wild & natural, while holding up high conservation standards and protecting their wildlife with a very well-trained team of rangers and medical professionals. 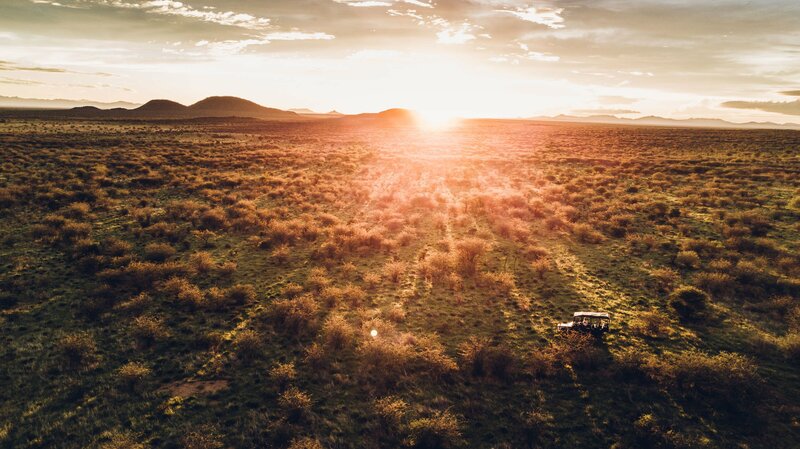 We would even dare to say it’s the perfect place for a Safari in Namibia! Let us tell you why. 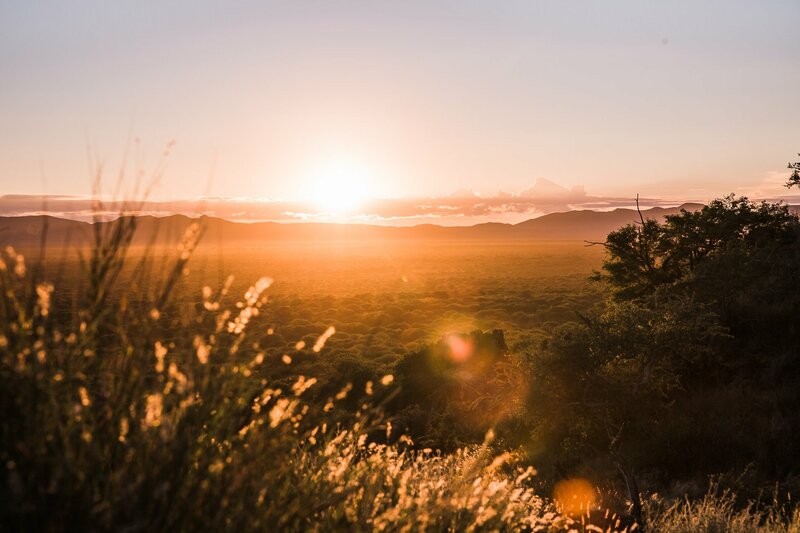 This is Erindi: 70.000 hectares of wilderness. 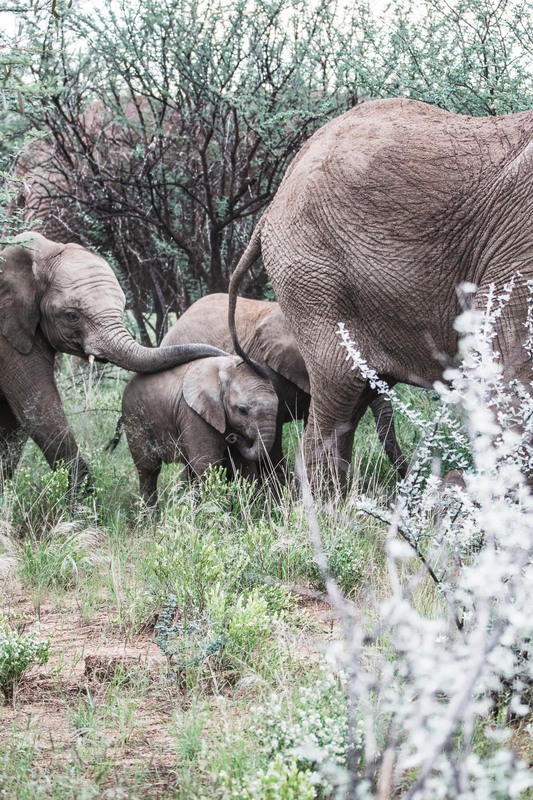 Here’s 7 very good reasons, why we enjoyed our visit at Erindi so much. Not only, because we were invited (disclaimer, yes – this was a press trip), but because this place left a lasting impression on us during our 7 day visit. At first we weren’t sure if one week was too long (most people only stay for one or two nights), but in the end we wanted to extend our stay! 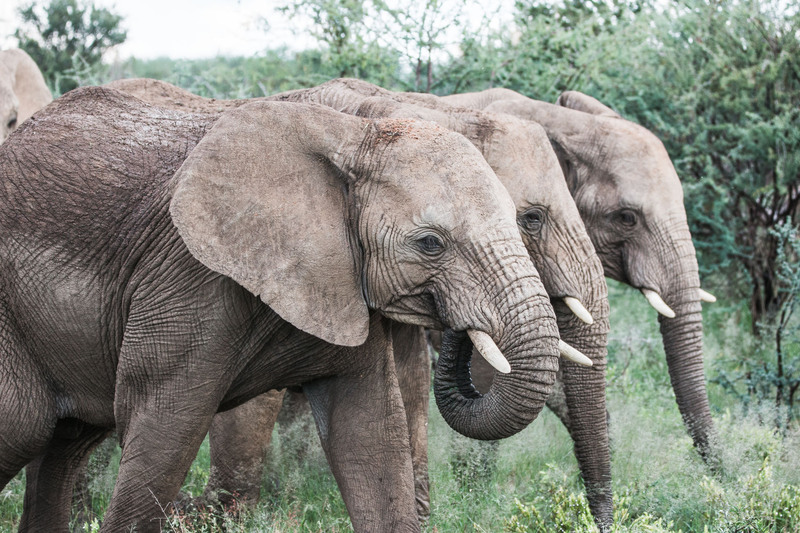 Animal encounters like this group of elephants just passing by our car are what make Erindi so special! 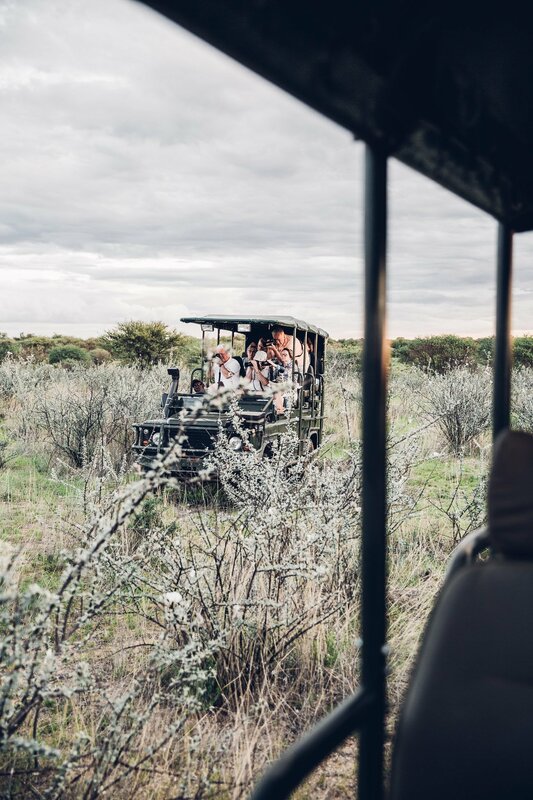 First and foremost: You want to see wildlife on a Safari… (duh!) 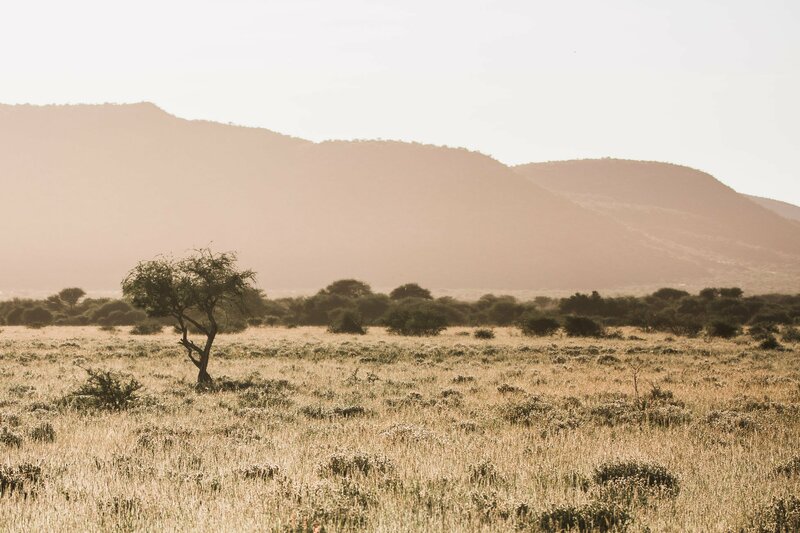 🙂 Before we came to Erindi we had made inner peace with the possibility to not see a lot of animals – or if we would see them then only from a distance. Well, let us tell you – just the opposite is true! Even before we arrived at the lodge we saw giraffes and an elephant right next to the entrance of the lodge… that was quite a surprising welcome. We lost count on how many elephants an giraffes we saw in total! 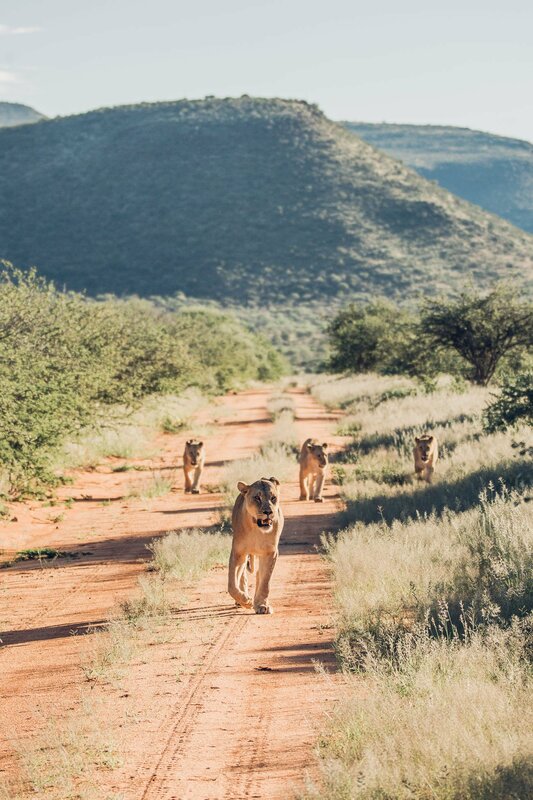 Day 1 started with a morning game drive, which brought us close to a brotherhood of lions (maybe even a little too close, as they chased us off and we had to reverse for a couple of miles to escape 😉 ). 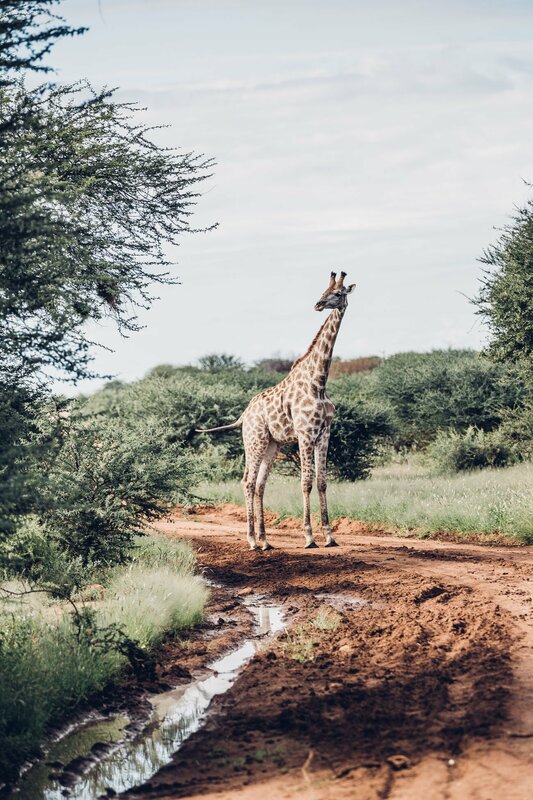 The same game drive (which takes about 3 hours on average) also included an elephant encounter, multiple giraffe sightings and an abundance of different antilopes. 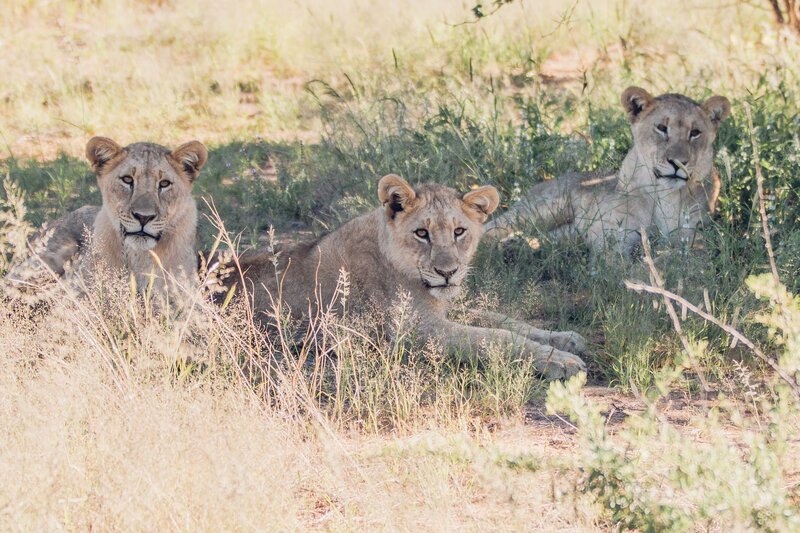 This is how our first morning game drive started… we met the three famous lion brothers! Their bellies were full from a recent wildebeest kill. 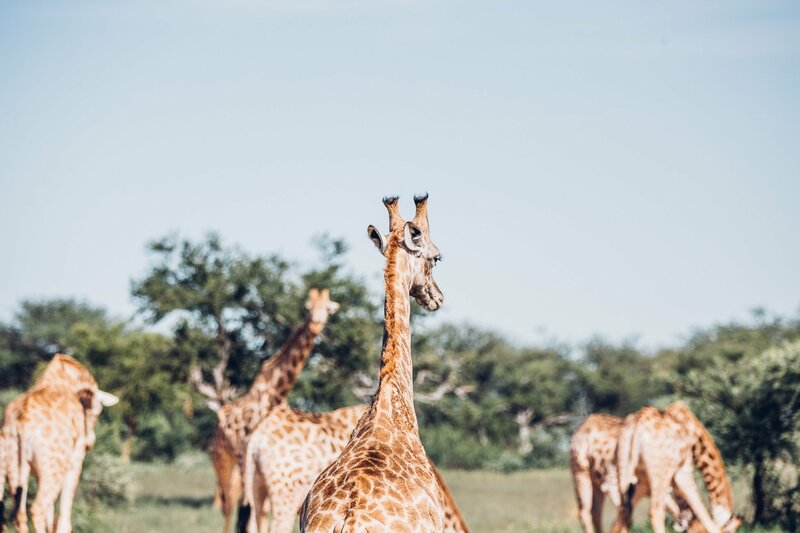 The Private Game Reserve is surrounded by an electrical fence, which might sound harsh at first, but it’s the best kind of insurance for the wildlife. It protects the animals from poachers, but also from entering into human wildlife conflict with neighbouring farmers for example. The whole area of Erindi measures over 10 times the size of Salzburg (it’s nearly twice as big as Vienna! ), but it’s impossible to tell how many thousands of animals live in the reserve. Just trust us: It’s more than you would imagine! 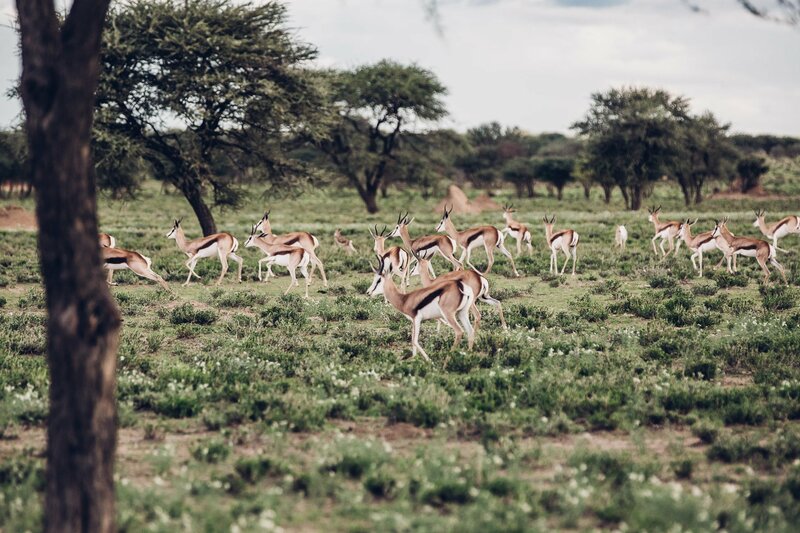 A huge herd of springbok at Erindi. They are always on the run, as they are prey for every carnivorous animal in the wild! 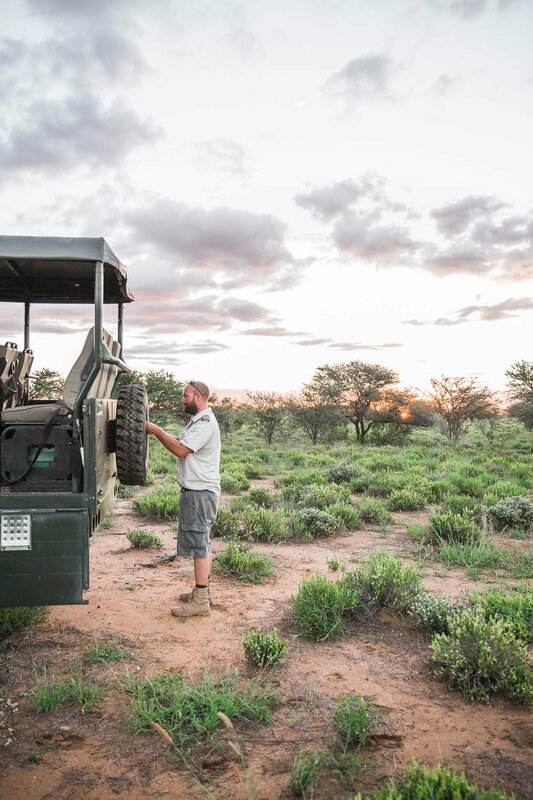 Even if there is an abundance of animals, in an area as huge as Erindi you might still have to search for wildlife. Especially when you want to see something specific like a leopard or a cheetah. 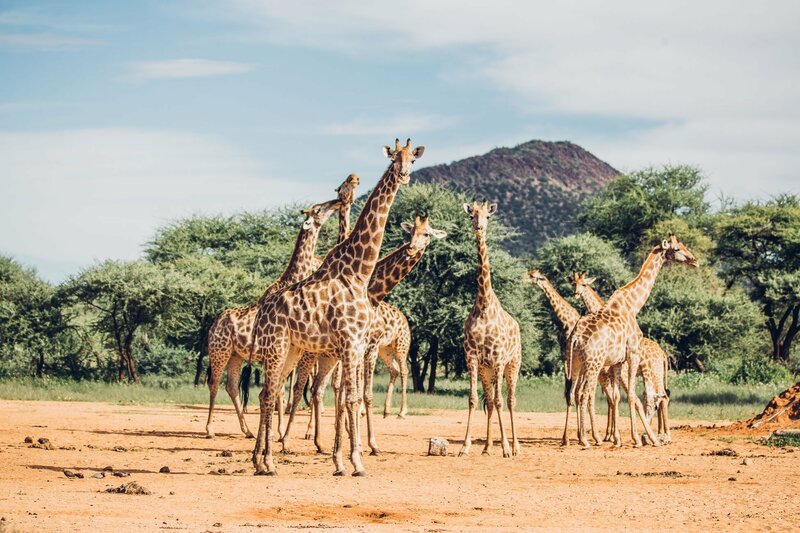 While giraffes, zebras, wildebeest and all kinds of antelopes are easy to find – you might need more luck to find the elusive animals like wild cats. Or: You track them via GPS signals. Early morning routine: Our guide Warren checks for signals! Collared animals are obviously something that sounds rather unnatural at first. And also when you have your first sighting of a cheetah with a huge collar around it’s neck, this can be quite frustrating in a sense. 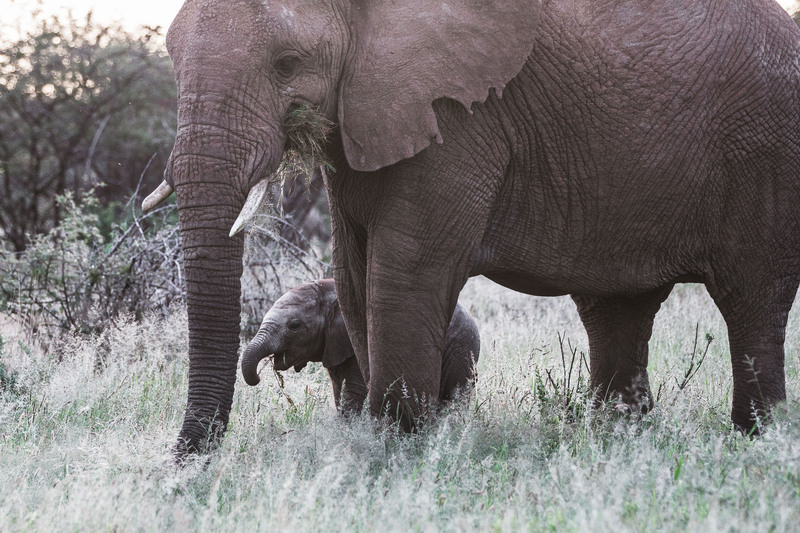 But there’s a good reason behind collaring animals – and it’s not so they can be tracked for game drives. It’s so they can be tracked for conservation and to keep them safe from poaching. The collars are used to protect the wildlife and to keep count. 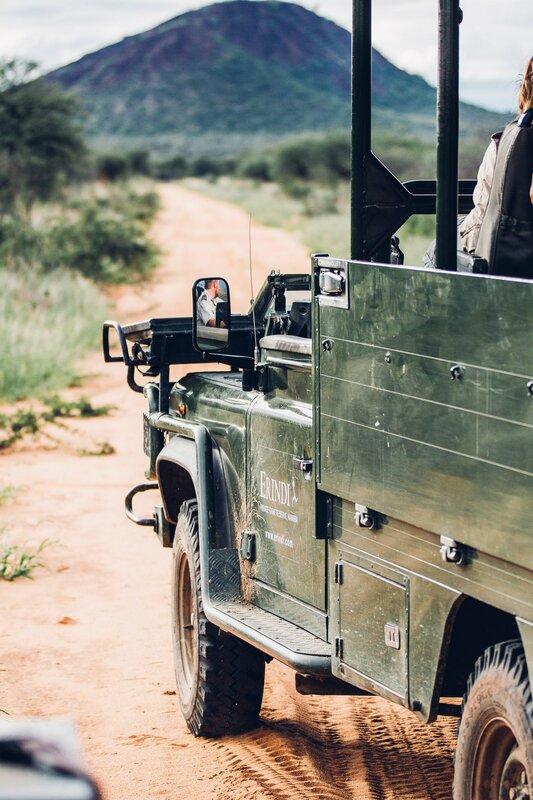 Only as an added bonus the guides are equipped with antennas to also use their GPS signals to track animals during a game drive. Finding a cheetah without a collar can be a tedious tasks. 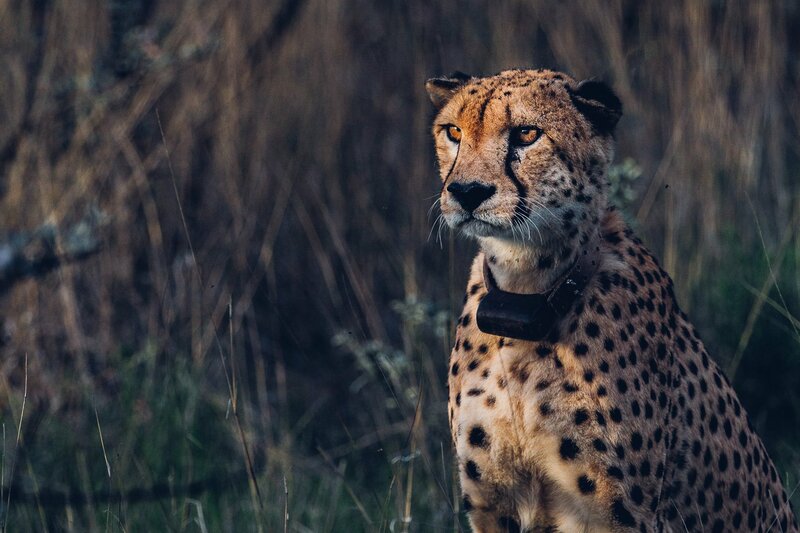 But these collars are actually used for conservational efforts by the Cheetah Conservation Fund (CCF). 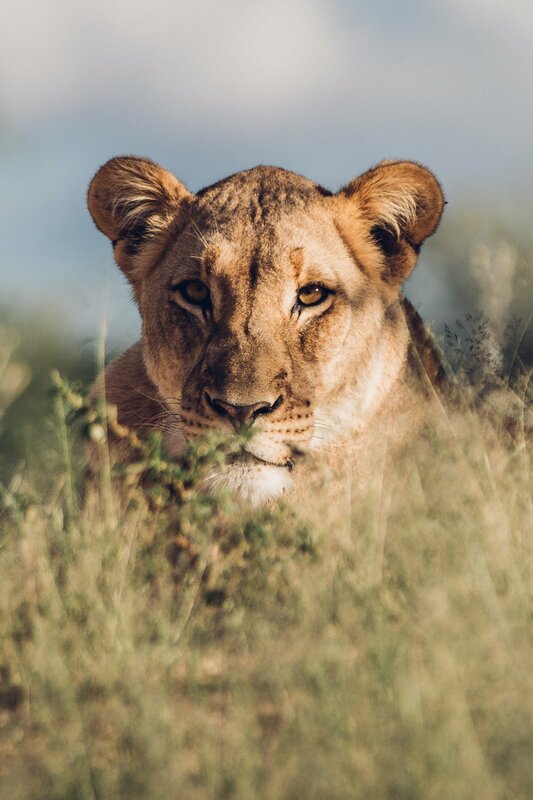 Only thanks to the GPS signals we were able to experience close encounters with a lioness and her three cubs, a cheetah and even a leopard (if only for a couple of seconds before he escaped into the bushes again). 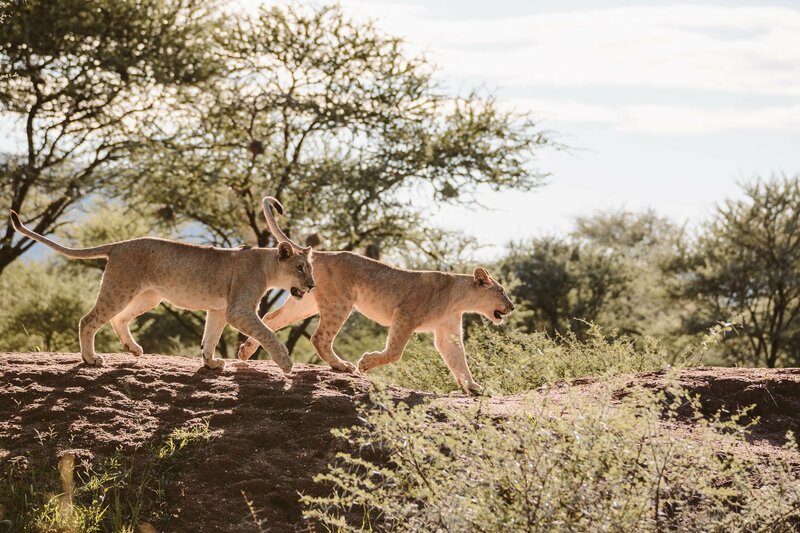 These lion encounters were made possible by modern tracking equipment. This brings me to the next advantage: As opposed to self-guided safaris the guides in Erindi are allowed to drive off-road. 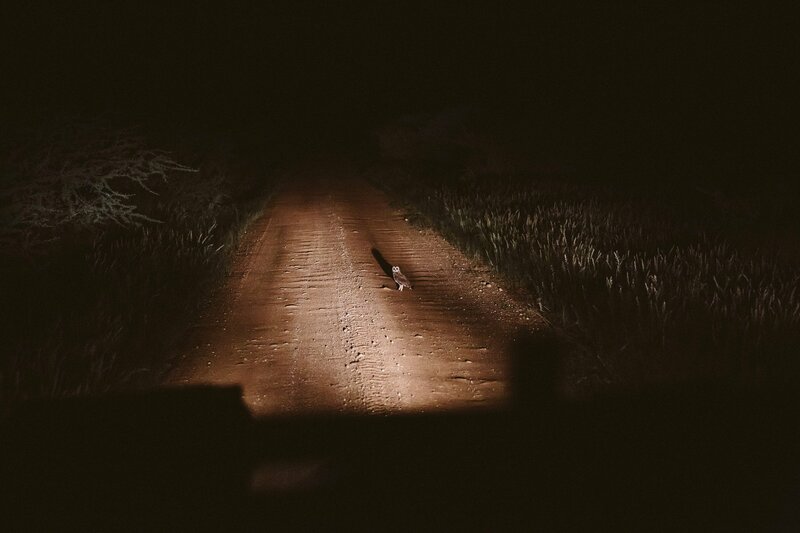 Only with the possibility to leave the roads it’s realistic to spend time with the wildlife – as it is moving through the wilderness constantly. 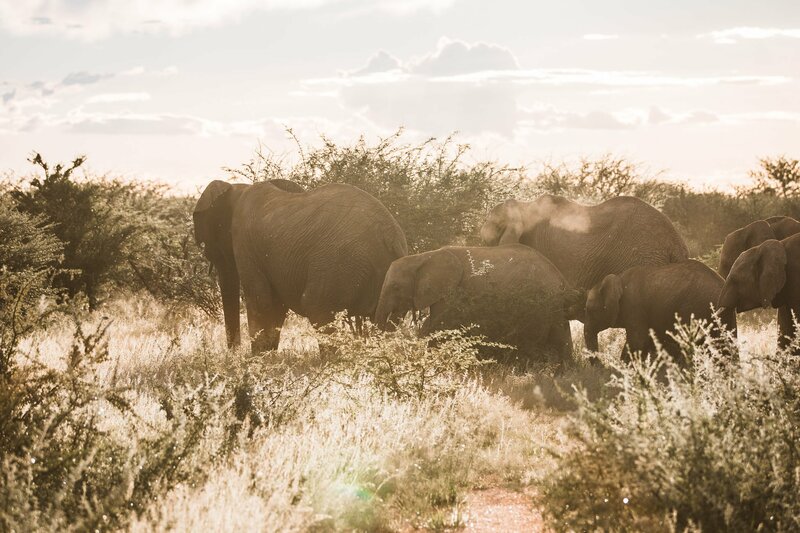 By driving off-road we were able to accompany a herd of elephants for a period of over an hour well into sunset, which was a magical experience! Also the guides at Erindi know exactly which way to go without getting in the way or distracting the animals – they will keep a safe distance, but also bring you close enough to get a good look. 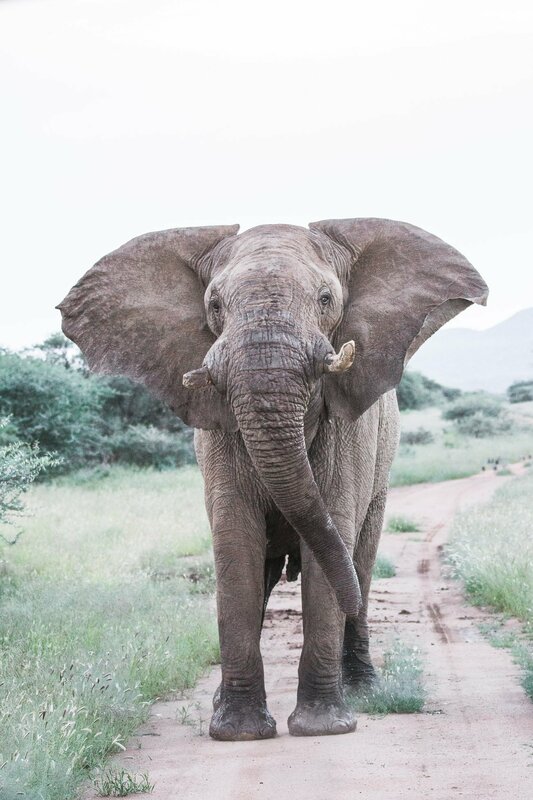 These elephant encounters were only possible by driving off-road. 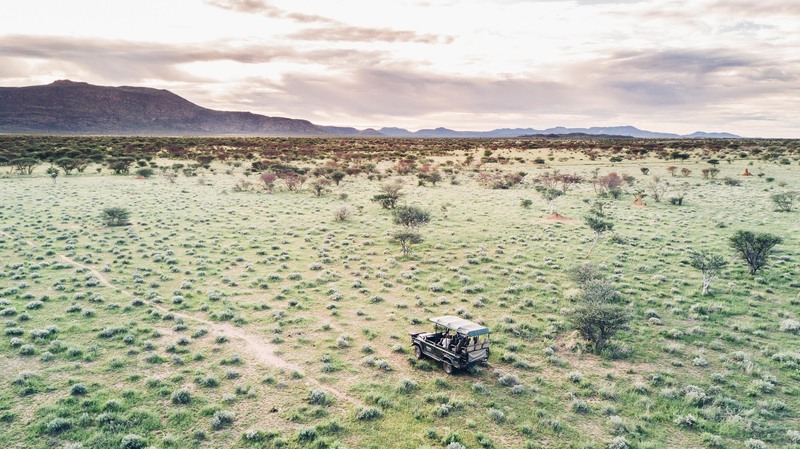 Guided safaris in Erindi beat self-drives by a mile (or more)! Off-road lies the real adventure. 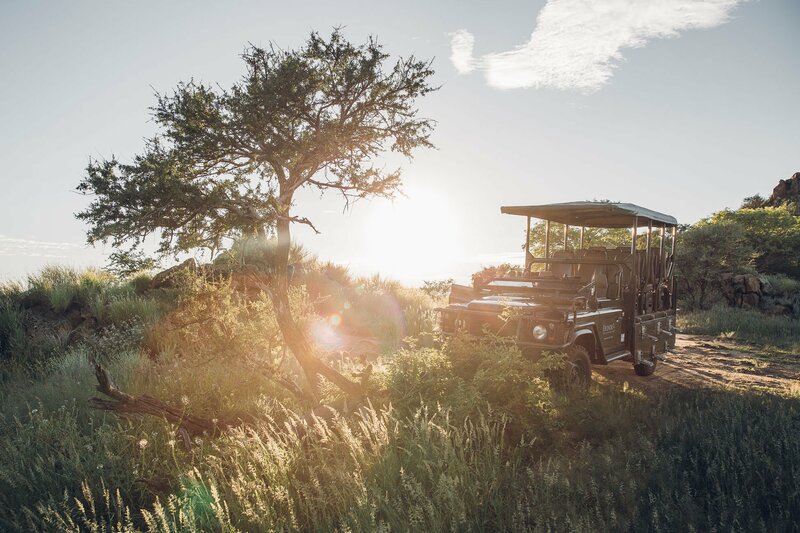 If you visit Etosha National Park you might notice, that a sighting of a leopard, cheetah or any other rare cat will attract cars. Many cars! The above mentioned nightmare can come true here. During our visit in Etosha we only had one wild cat encounter – which we had only noticed, because there were already 3 cars at the sighting. We waited there to get a better view of the cheetah for a while – only to be joined by at least 5 other cars in the meantime. And: We still didn’t get a good view of the cheetah, who was hiding behind the bushes and trees. There won’t ever be more than 2 cars at a sighting in Erindi! 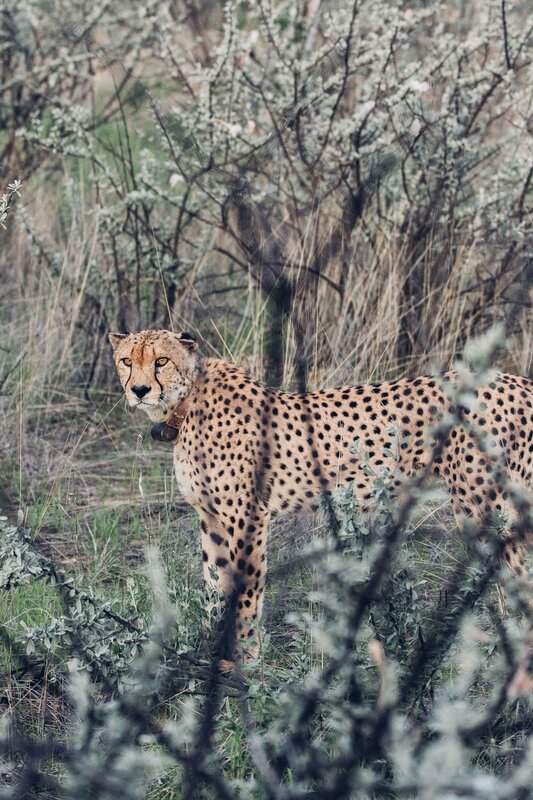 Because you’re not allowed to leave the road at Etosha we just had to give up after a while – without getting a real glimpse of the Cheetah. And there were still 8 cars surrounding the spot! At Erindi there’s a rule, that a maximum of 2 cars is allowed at a sighting. This not only guarantees privacy for the guests, but also reduces stress for the animals! 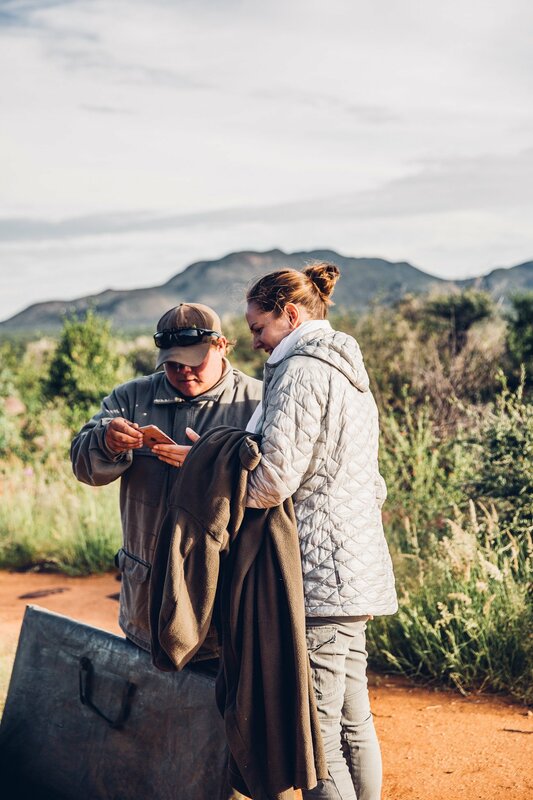 The guides at Erindi are all connected via speakerphones and will manage to get you to your sighting, without putting too much stress on the animals. It’s a win-win! This is the usual view – no other cars in sight. This brings me to the next reason why Erindi rocks! The guides and rangers are really well-educated and trained. 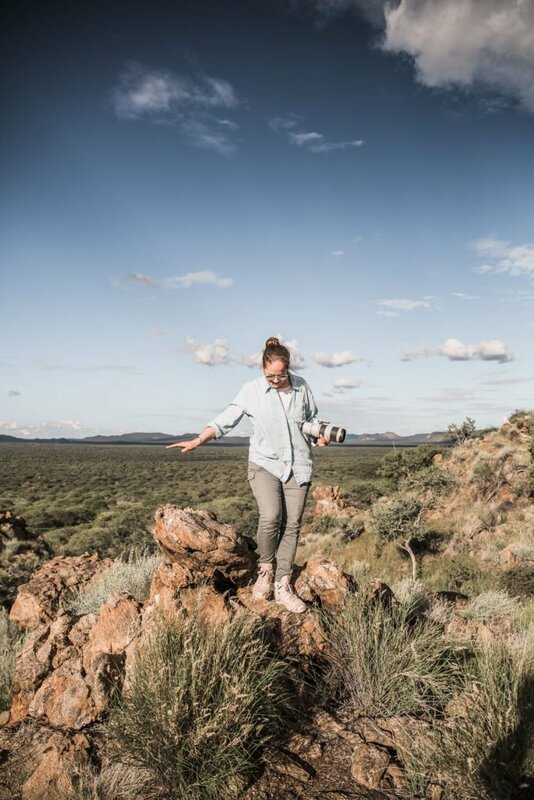 We spent a full week at Erindi and were accompanied by two different guides: FN and Warren – both being completely different characters, but very knowledgable. Our guides FN & Warren – both fantastic company! While FN is a photographer himself he is a rather lonesome cowboy and enjoys spending time with animals quietly, while still positioning the vehicle in a way for you to get the best angles for photography. Warren on the other hand doesn’t take out his own camera when a leopard passes, but instead will explain many details of what makes a leopard special, how he moves, how much sleep he gets and many other interesting facts. Spending time with these two was a terrific combination – this way we did get great photos and many insights into the lives of the animals! One day we were also joined by a trainee, who was just learning everything from the road names to the countless species of animals. He had a guidebook with him with at least 100 different brown-feathered birds, that all looked the same to me 😉 So, mad respect for the training these guides get! 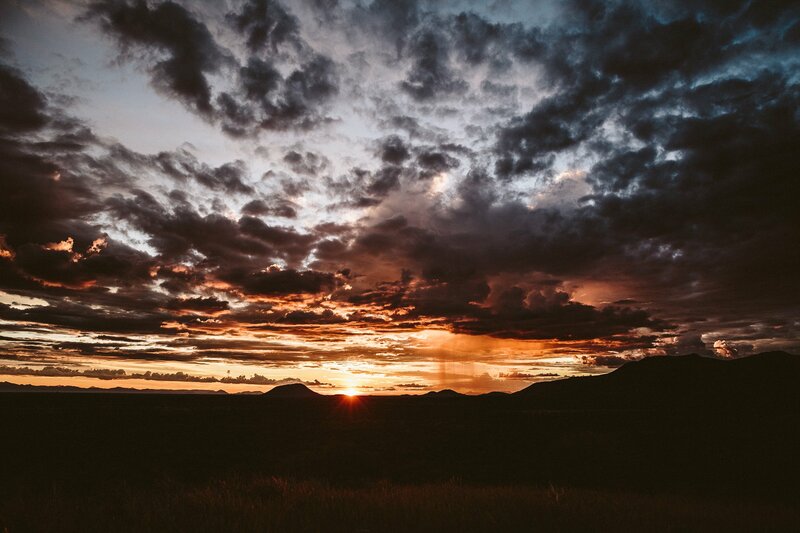 Guides from the local San tribe – also called bushmen – also accompany game drives. When I’m talking about cars I actually mean Landrover Special Vehicles. These Landys not only pack up to 12 people, no – they come with all sorts of extras. Erindi has a whole fleet of cars (but still you can easily go a whole day without meeting one other vehicle in the huge reserve). Each car comes with blankets (for colder mornings or night drives), rain covers (we needed those one day) – but obviously no front shield or windows. The seats are set up like theatre seats, so even passengers in the last row will be able to see what’s happening in the front. Our Landy in the plains of Erindi. 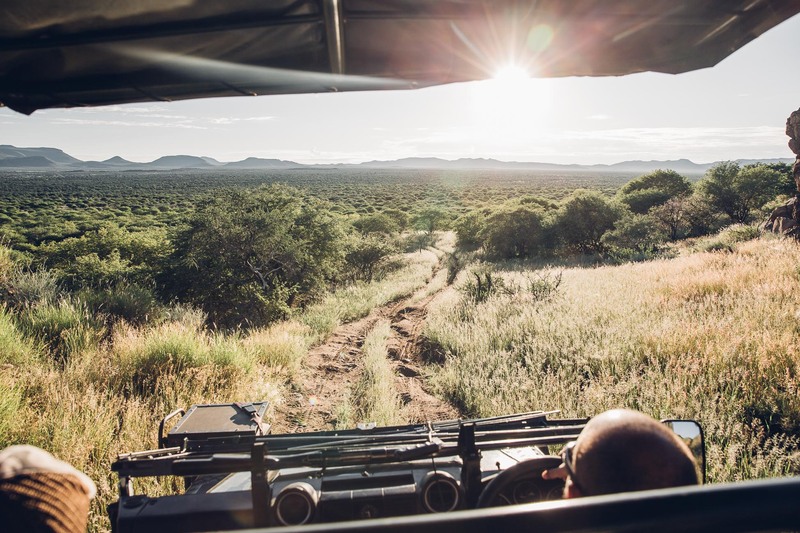 Game drives usually take place in the morning and late afternoon. 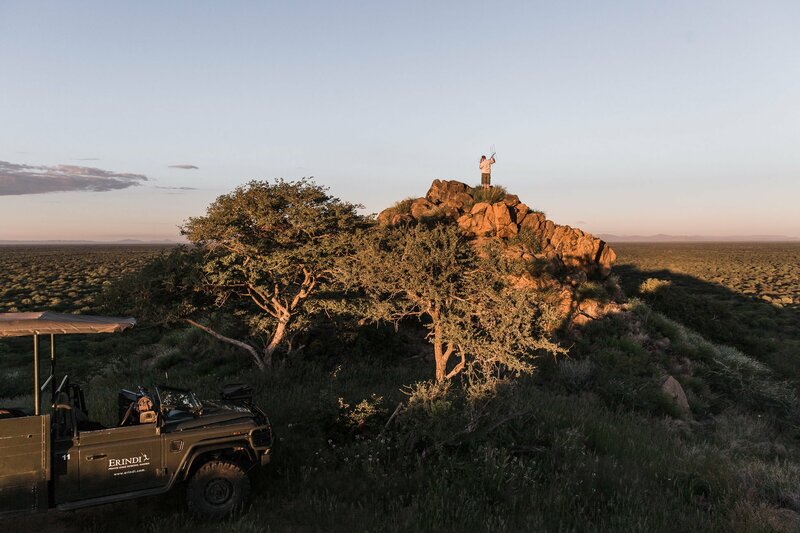 For sunrise and sunset the guides take the vehicles up to one of the many lookout spots in Erindi. And while overlooking the impressive Jurassic Park like landscape the trunk of the car opens up to be a full bar. At sunrise there’s cookies, tea and coffee (make sure to add some Amarula if you’re up for a treat 😉 ). 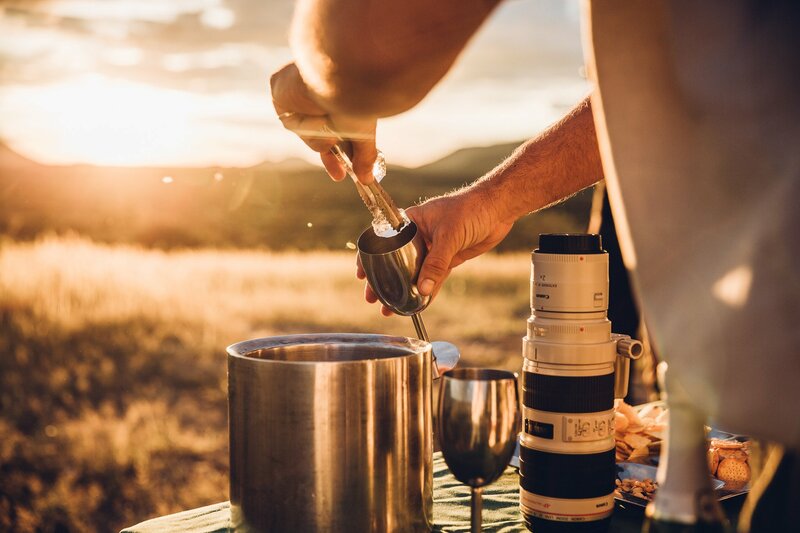 Morning game drives start at sunrise with fresh coffee and tea. 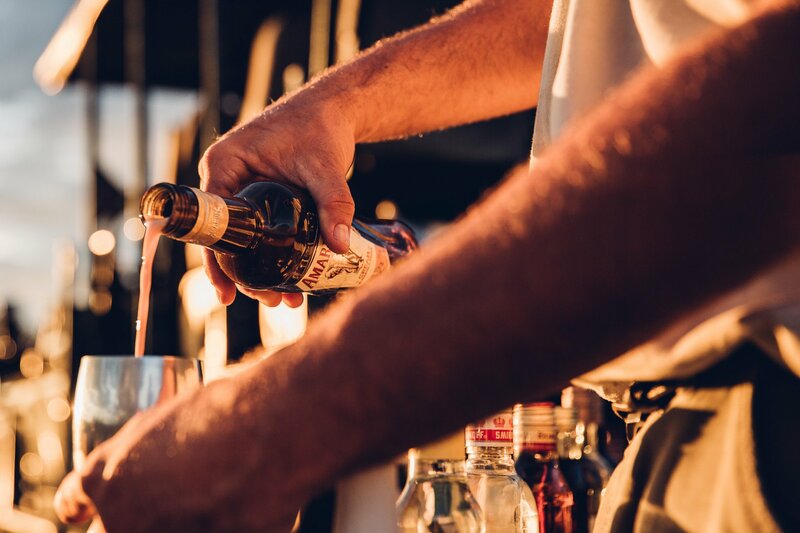 At sunset there’s a whole range of drinks (and even ice cubes), that come out of those Landys. After sunset the guides will take you back to the lodge in pitch darkness, but they’ll use a bright spotlight to discover animals even in the dark. 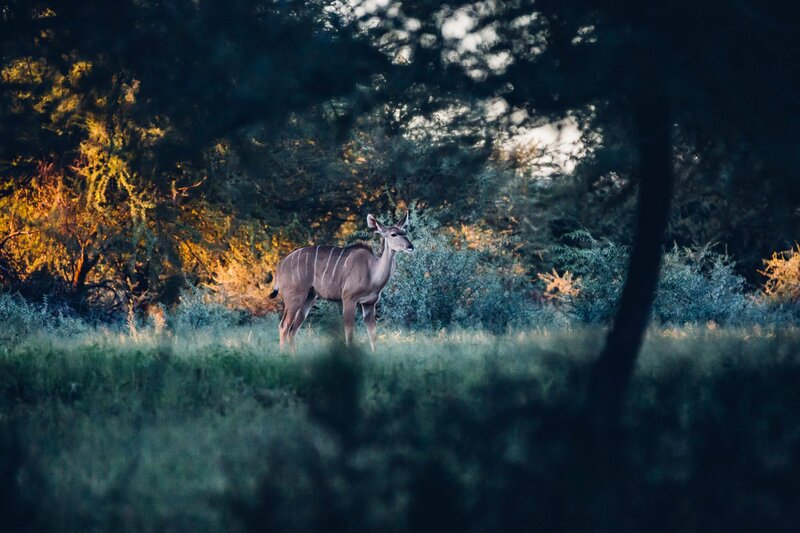 Returning to the lodge after sunset has it’s advantages – some nocturnal animals can be spotted! During our 7 day stay we took the advantage to go on morning and evening drives every single day and we didn’t regret any one of those! 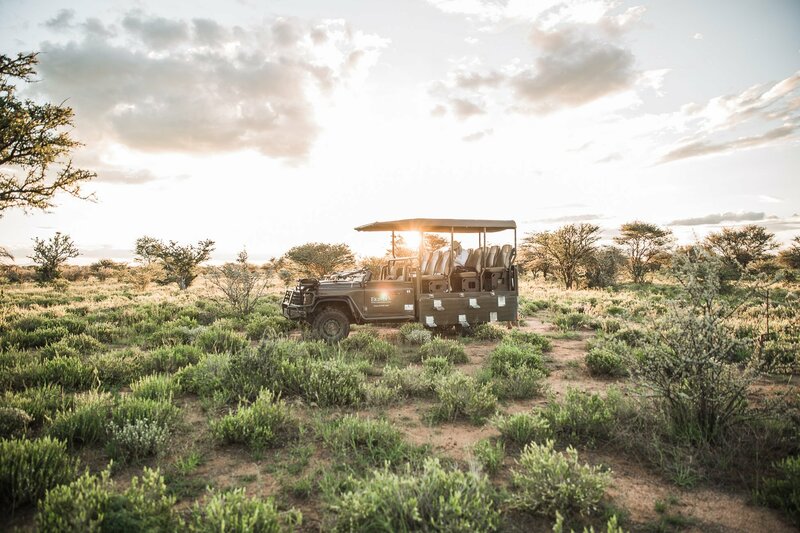 We would recommend that you also book a private game drive once, so you’ll have the car all to yourself and can decide where to go and what to see! 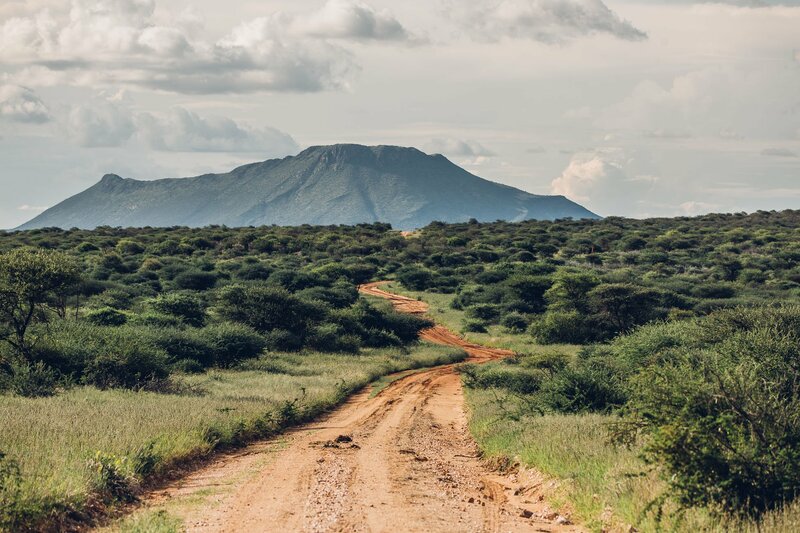 The endless roads of Erindi promise new adventures every day! 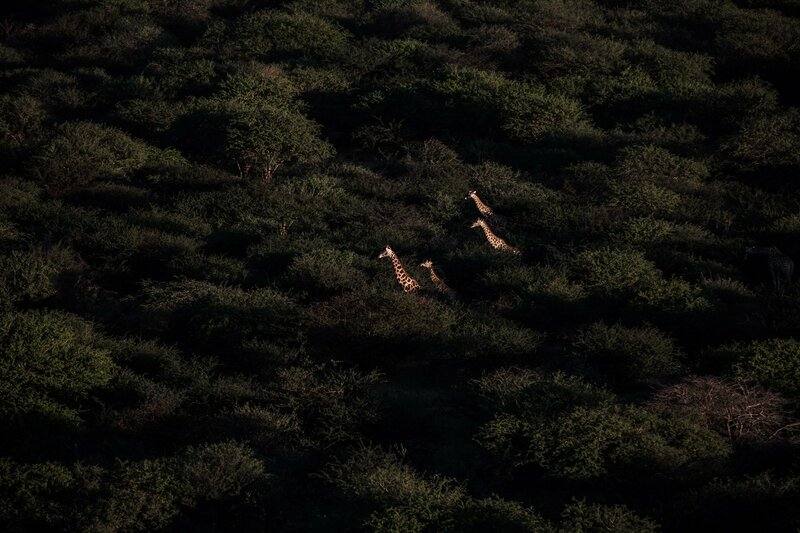 But even when you’re not out and about with the cars on a game drive, you’ll be able to see wildlife! Directly in front of “Old Traders Lodge” – the huge colonial style restaurant of Erindi – there’s a massive water hole. 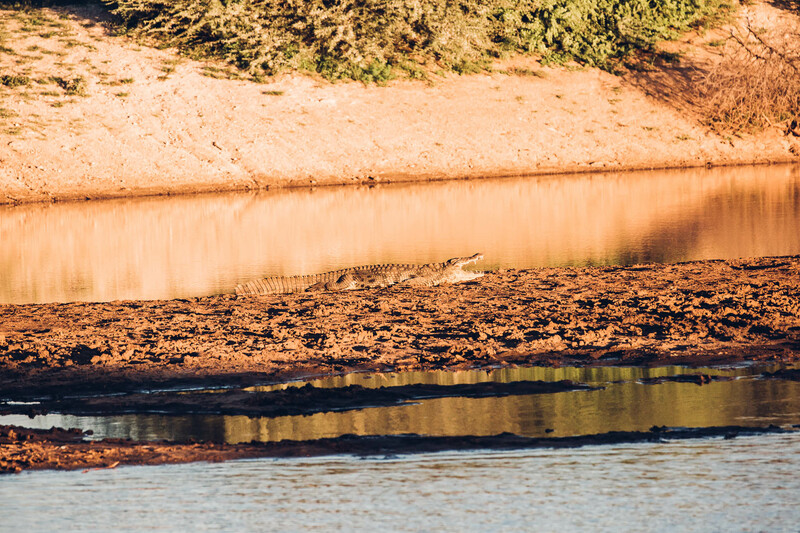 This is the only place in Erindi where you can spot hippos and crocodiles, especially when they’re sunbathing in the midday heat. 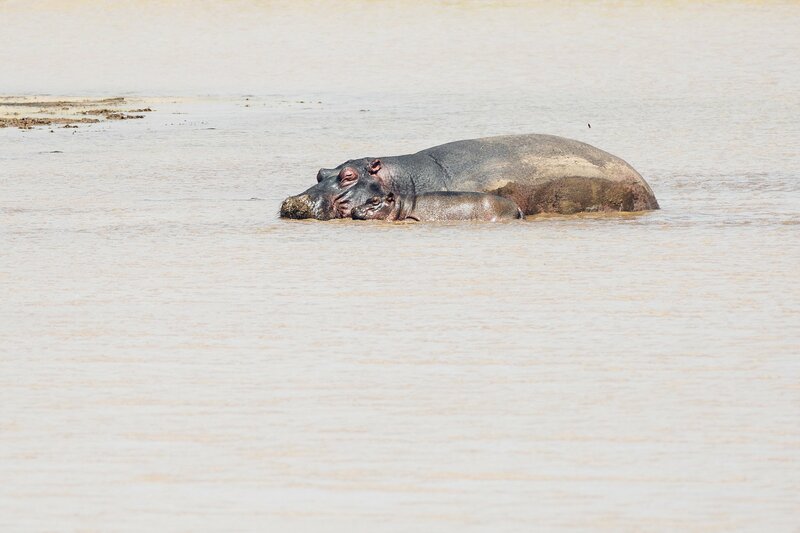 Watching hippos cuddle and roar straight from the veranda at Erindi is priceless! 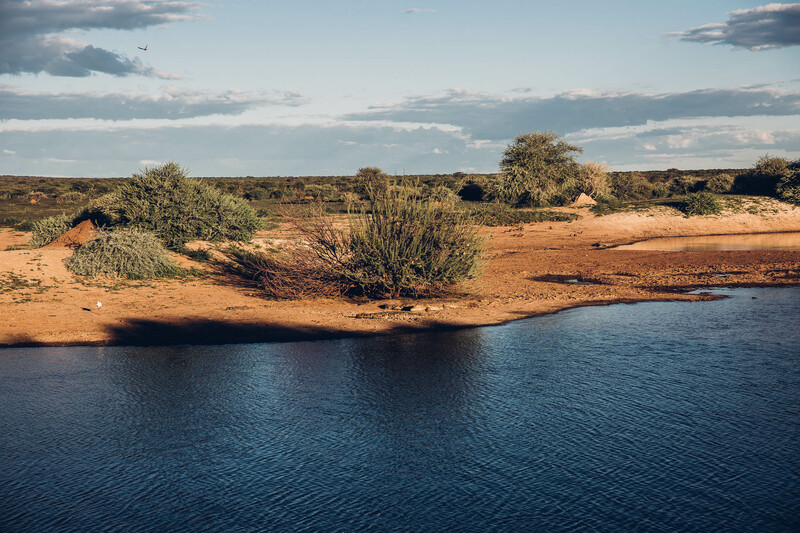 Although we visited in April, when there’s still an abundance of water throughout Namibia, some animals gathered at the water hole every day. We saw giraffes, wild boar, wild dogs, hyenas and many more. In the dry season (starting in May) water gets scarcer and chances to spot wildlife at the water hole increase even further! There’s enough water at Erindi in April. 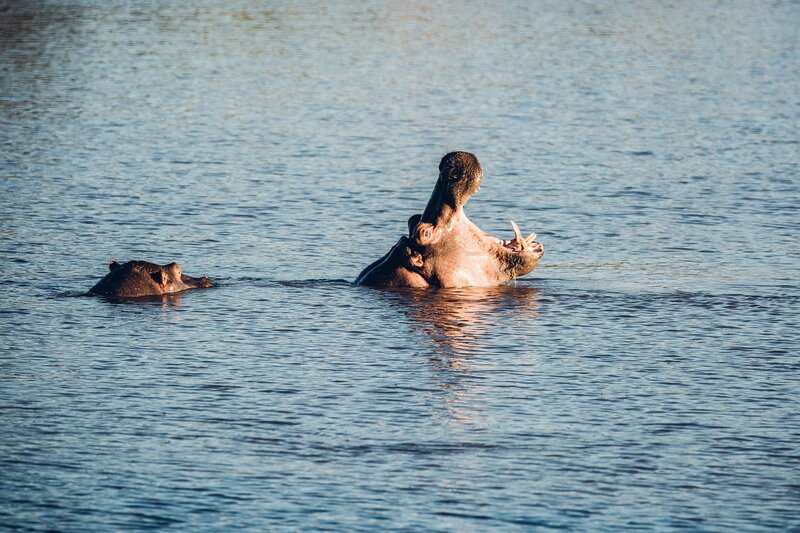 Still there’s crocodiles and hippos every day at the water hole! The wild dogs are even more endangered than the leopard, but less popular. They came to visit at the water hole nearly every day! On the other side of the lodge there’s a second, smaller water hole – with most of the rooms overlooking it directly from the private terraces. At dawn, but somedays even during the middle of the day, this water hole is frequented by springbok and other antelopes. 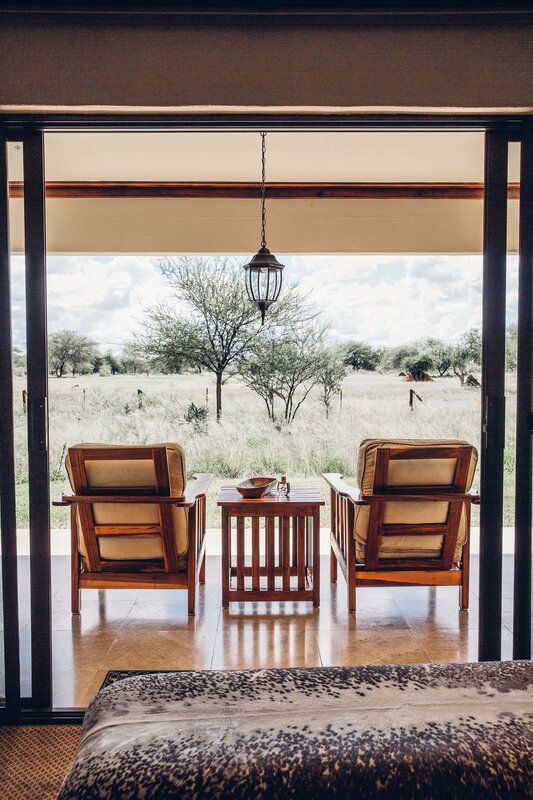 Sitting on your own private deck while watching wildlife go about their day right in front of your eyes is something that’s hard to top! We saw this Kudu at the small waterhole right the first evening when we arrived. Last, but not least, Erindi also collects points in the “regular areas” of tourism. The service already started at the airport, when we were picked up by car and brought to the reserve, which is a 2,5 hours drive away from Windhoek airport. Upon check-in we collected wifi-vouchers (for free) and had our bags brought to our room. 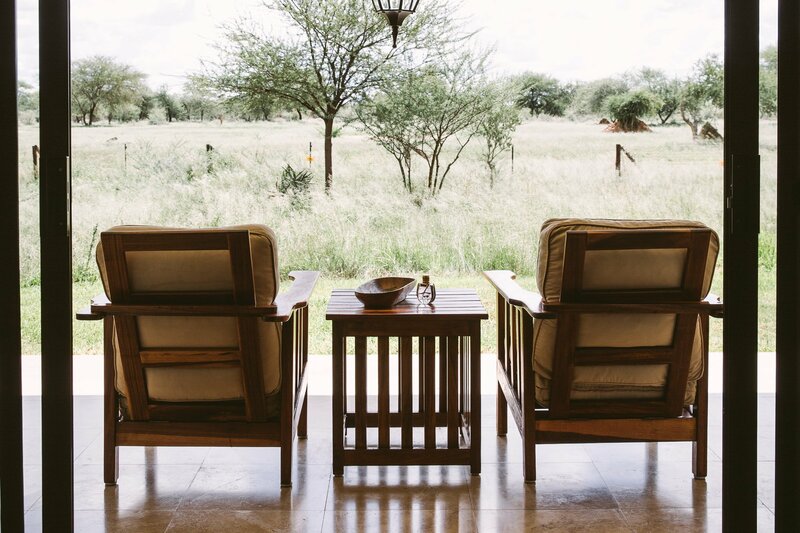 Two different luxury rooms at Erindi – both featuring views of the smaller water hole. 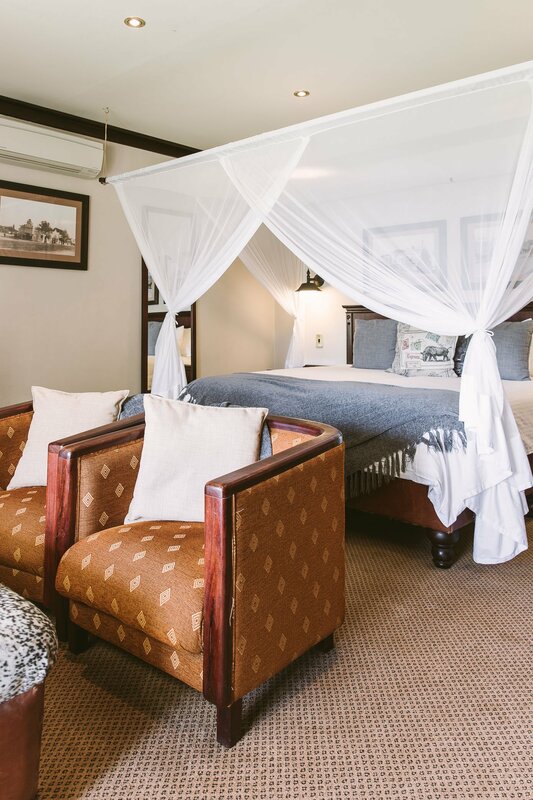 The rooms come in six different categories at Erindi – and we got to test two of the six: The Standard and Luxury Suites. Both feature spacious bathrooms, air conditioning and all the amenities you might be looking for (minibar, safe, TV). The Standard Suites are actually designed for tour operators to stay in and don’t have a direct view of the water holes (and there’s just 6 rooms of this category). Other than that they are just as comfortable as the other categories. 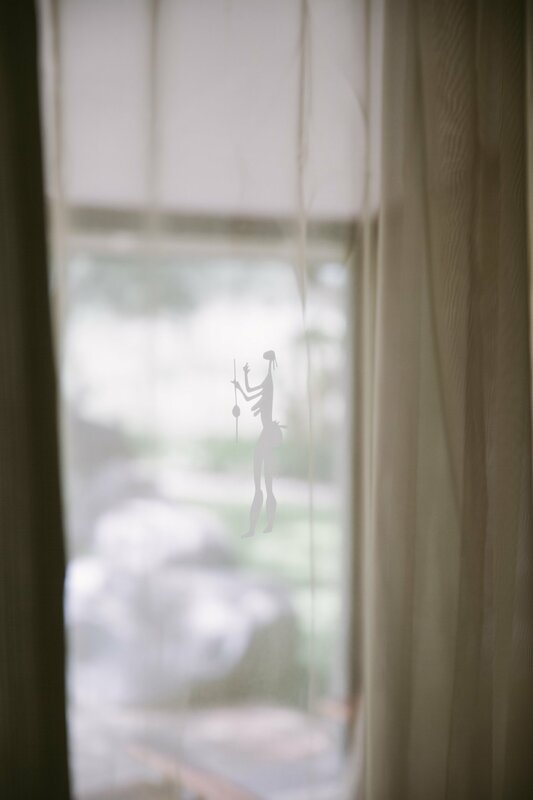 The 50 rooms come in 6 categories – we stayed in 3 different rooms to test them! 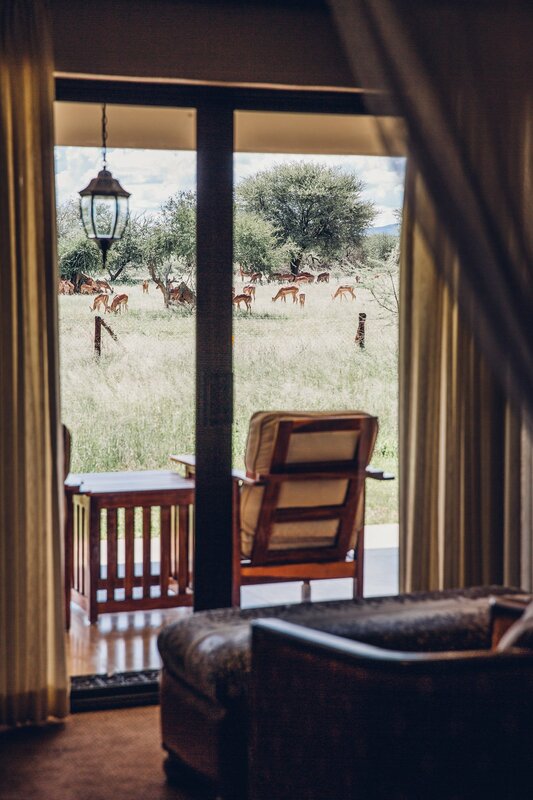 The Luxury Suites feature direct views of the smaller water hole and offer bigger bedrooms. This is the most common room type at Erindi with 30 rooms. 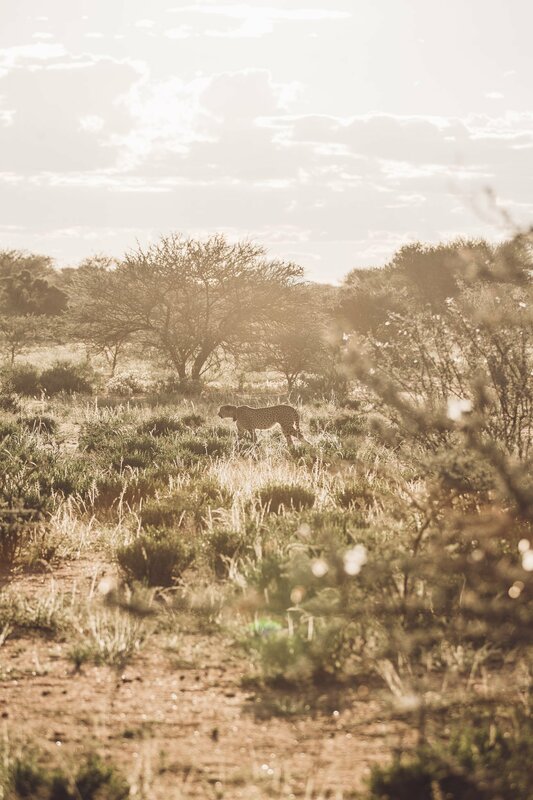 Next time we visit Erindi we want to make sure to stay in one of the 9 Superior Suites, because they have the best views of the big water hole. 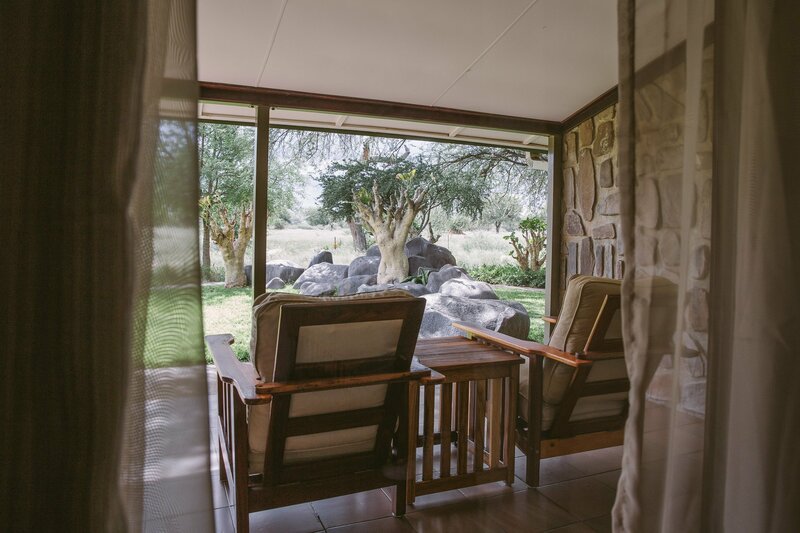 Luxury room at Erindi – with a view of the small waterhole (hidden in the grass). When it comes to food you won’t ever go hungry at Erindi. This is the only time in my life that a hotel served 5 meals a day – and we actually used it. 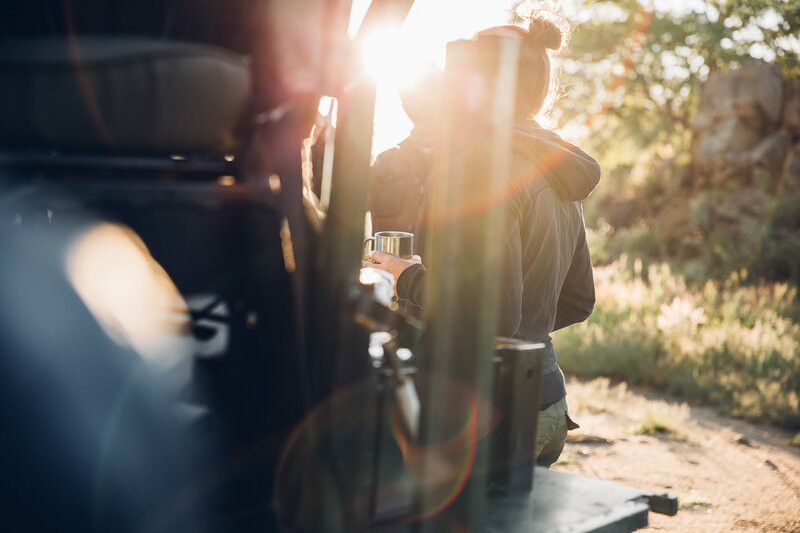 The days start early here (when you go on a morning game drive), therefore you can grab a small breakfast before sunrise. After you return from the morning drive there’s the real breakfast – which is a huge buffet with all the options you can imagine (pancakes, fresh made egg dishes, fruit, cereals, bread, etc.). 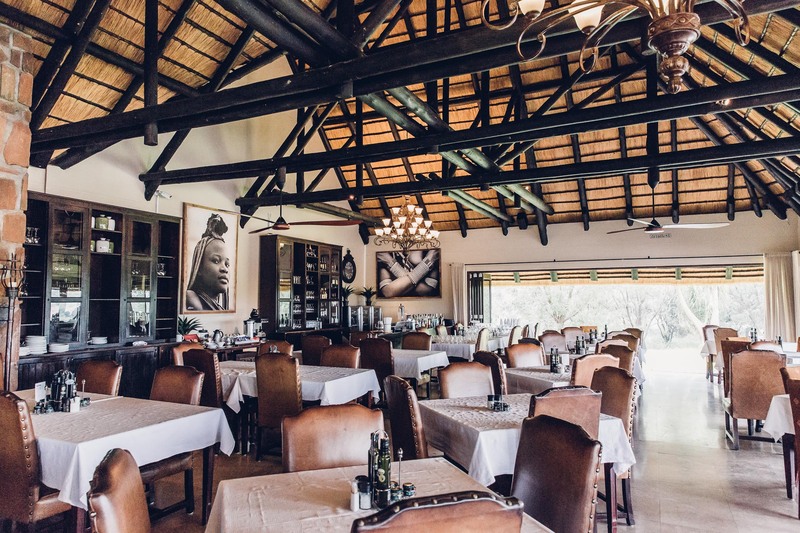 Old Trader’s Lodge at Erindi – this is where all the meals are served! This second breakfast usually happens around 9 or 10 am and then there’s lunch just 2-3 hours later. 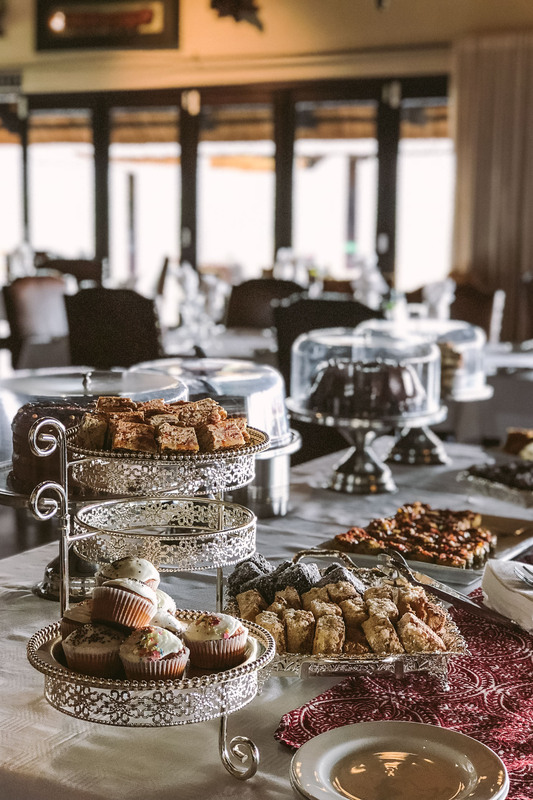 Some days we just skipped lunch and only ate something from the cake and dessert buffet, which is offered in the afternoon – right before our second game drive of the day. 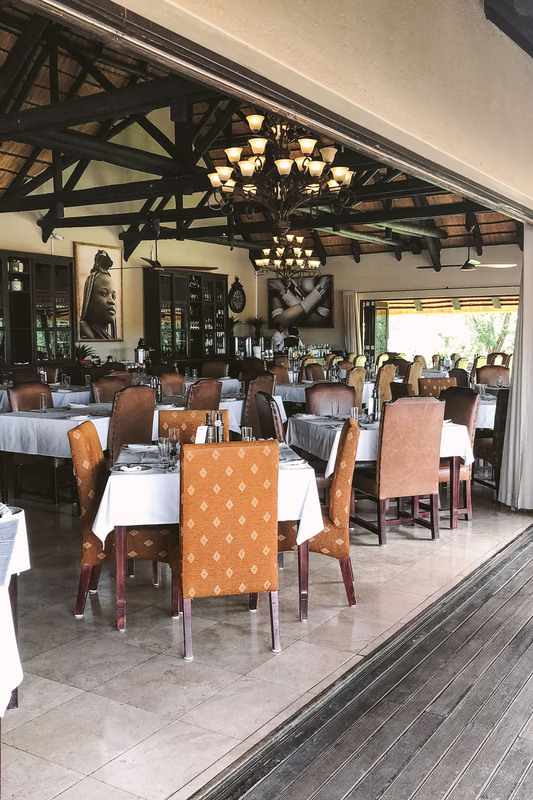 Or we skipped the second breakfast and had lunch instead… well, either way – it’s hard to skip a meal at Erindi, because the quality of the food is quite good. And there’s even many vegetarian options (if you’re vegan, you should let them know ahead of your visit)! 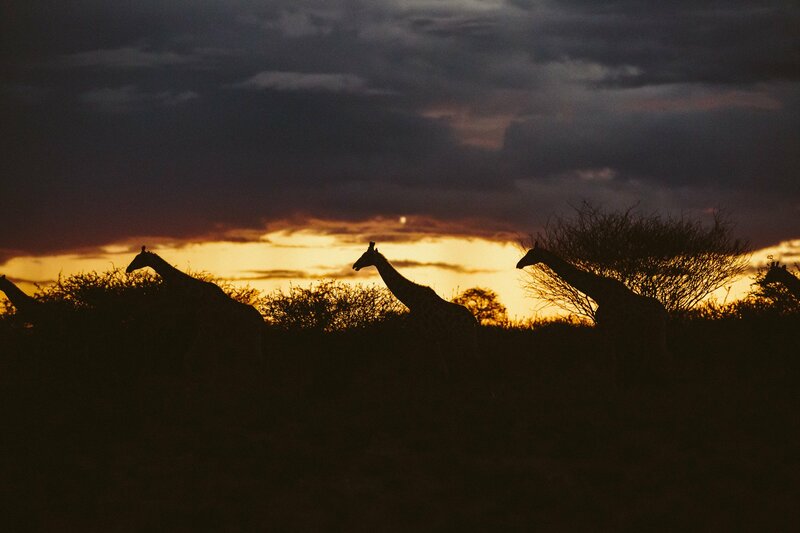 The highlight of the day obviously is dinner, which is served buffet-style every night after the evening game drives. We usually had time to freshen up a little after the game drive and then go to the Old Traders Lodge for our feast. The dishes were creative and we didn’t eat anything twice during our one week stay. Drinking one last glass of Amarula on ice on the deck, while watching the animals at the floodlit water hole was certainly the perfect way to end the night. 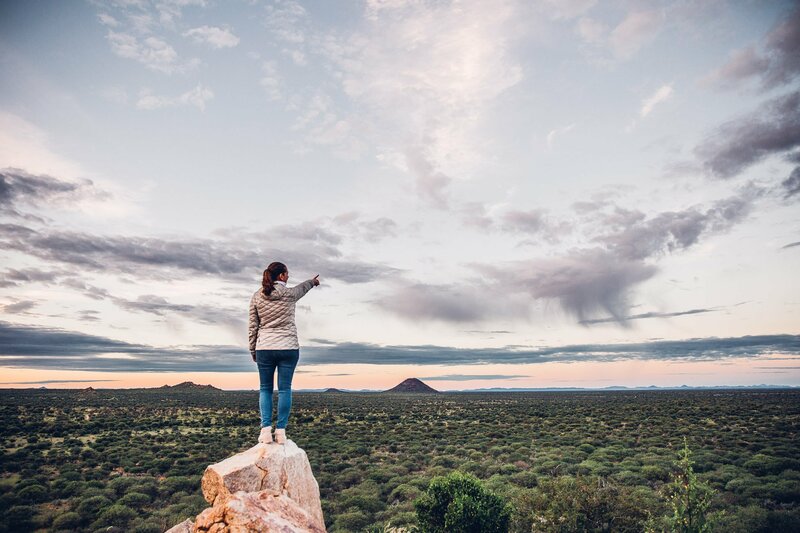 You’re the right traveller type for Erindi if you’re interested in wildlife, don’t want to compromise when it comes to conservation and eco-tourism, but also don’t want to miss out on the comforts like wifi, great food, a comfortable bed and so on. 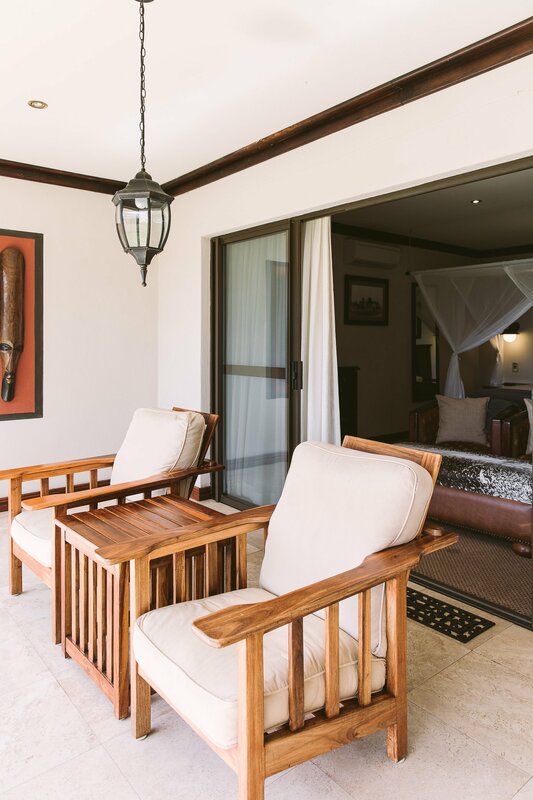 Erindi is suited for families (there’s family rooms with adjacent bedrooms and even a pool and a playground), but also for couples or solo travellers. It is not the most intimate lodge we stayed in during our time in Namibia, due to the number of rooms (there’s a total of 50 rooms). If you’re looking for a honeymoon getaway we would recommend a resort with less rooms and a place where dinner is served instead of a buffet. 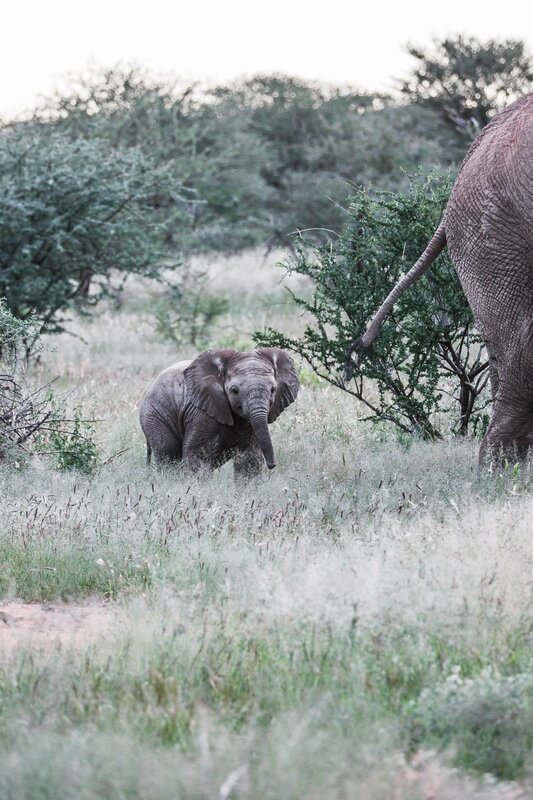 But if you’re looking for wildlife encounters beyond anything you can ever imagine, than Erindi is the right place. 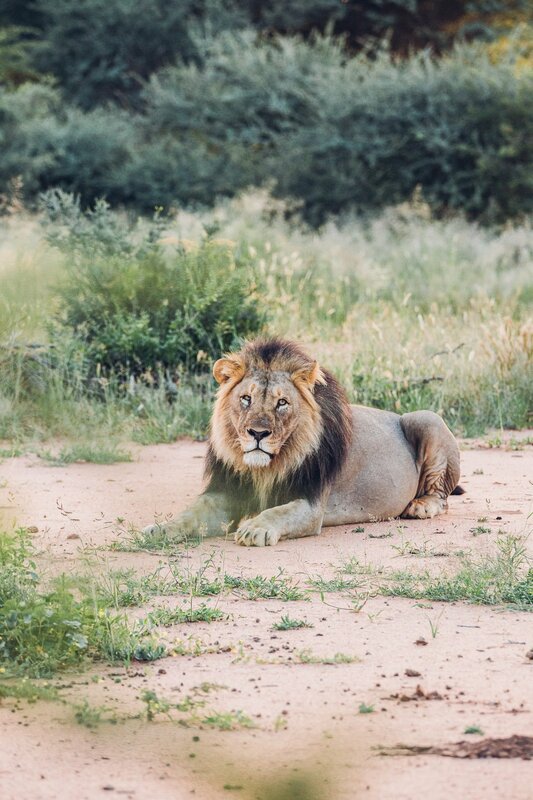 If you want to find out more about Erindi, visit erindi.com! 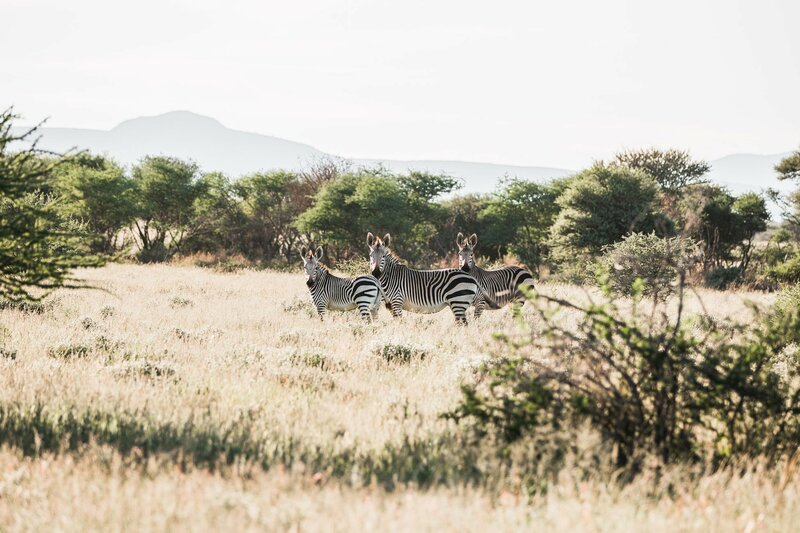 Disclaimer: We were invited to stay at Erindi Private Game Reserve for a week as a complimentary press stay, but our views stay independent from that invitation.